5.2 earthquake hits northern Sumatra, Indonesia. 5.2 earthquake hits Kepulauan Mentawai, Indonesia. 5.1 earthquake hits southern Alaska. 5.0 earthquake hits near the north coast of Papua, Indonesia. 5.0 earthquake hits central Mongolia. 5.0 earthquake hits the Savu Sea. In the Atlantic Ocean: Invest 97L is an area of disturbed weather in the Atlantic Ocean that has the potential for further tropical development. In the Western Pacific Ocean: Typhoon (ts) 17w (Shanshan), located approximately 319 nm southeast of Yokosuka, Japan, is tracking north-northwestward at 09 knots. Tropical depression 18w (Eighteen), located approximately 509 nm south-southeast of Kadena AFB, Japan, is tracking northwestward at 03 knots. In the Eastern Pacific Ocean: Hurricane Hector is located about 640 mi…1025 km ese of Hilo Hawaii and about 850 mi…1365 km ese of Honolulu Hawaii with maximum sustained winds…145 mph…230 km/h. Present movement…w or 280 degrees at 16 mph…26 km/h. Hurricane John is located about 310 mi…495 km sw of Cabo Corrientes Mexico and about 390 mi…630 km s of the southern tip of Baja California with maximum sustained winds…90 mph…150 km/h. Present movement…nw or 320 degrees at 9 mph…15 km/h. Tropical Storm Ileana is located about 170 mi…275 km w of Manzanillo Mexico and about 310 mi…500 km se of the southern tip of Baja California with maximum sustained winds…50 mph…85 km/h. Present movement…wnw or 295 degrees at 23 mph…37 km/h. Tropical Storm Kristy is located about 1155 mi…1860 km wsw of the southern tip of Baja California with maximum sustained winds…50 mph…85 km/h. Present movement…w or 265 degrees at 12 mph…19 km/h. Invest 94E is an area of disturbed weather in the Eastern Pacific Ocean that has the potential for further tropical development. Mongolia – Floods in Mongolia have killed 63 people, including 15 children, so far this year, the National Emergency Management Agency (NEMA) said Monday. Heavy downpours have been hitting Mongolia since the beginning of July, triggering massive flooding in some areas. Meteorologists said the heavy rainfall will not stop until mid August. Cambodia – Six Cambodians have died so far and nearly 5,000 families have evacuated to higher grounds after Mekong floods hit five provinces along the river, a disaster control spokesman said on Monday. Nepal – At least 14 people, including four members of the same family, have died in Nepal as meteorologists on Monday warned of more rains in the country hit by monsoon-triggered landslides and floods. People living near rivers in the capital Kathmandu should beware of floods, said weather officials, forecasting heavy rains in central and western Nepal on Tuesday. Six people were swept away by swollen rivers in as many districts across the country over the weekend, the state National Emergency Operation Centre said on Monday. Eleven people were injured on Sunday when a passenger bus was swept away by a flooded river in the midwestern Dang district. On the outskirts of Kathmandu, several neighborhoods were inundated after torrential rains on Monday. A car sank in a swollen Godavari River, while the driver was rescued by locals. Thailand – Residents in Thailand’s western provinces have been urged to move to higher ground as dams in the region are rapidly filling up due to heavy downpours while authorities raced to reduce the impact from possible flooding. More water will have to be released from the dams to keep the levels stable, but it could cause floods in the downstream areas, the RID said. Officials urged people living along the river in these provinces to closely monitor the water level in the river, move their belongings to higher ground, and evacuate children, elderly and sick persons from flood-risk areas. In the Western Pacific Ocean: Tropical depression 11w (Eleven), Tropical storm (ts) 11w (Son-Tinh), located approximately 173 nm southeast of Hanoi, Vietnam is tracking westward at 12 knots. Tropical depression (td) 12w (Twelve), located approximately 439 nm south of Kadena AFB, Okinawa, Japan, is tracking east-northeastward at 04 knots. In the Central Pacific Ocean: Invest 91L is an area of disturbed weather in the central Pacific that has the potential for further tropical development. Vietnam – Flash floods and landslides triggered by heavy rains have killed at least seven people and left 12 others missing in northern Vietnam. In the worst-hit province of Lai Chau, five people were killed and authorities have been mobilising forces to search for the 12 missing, the provincial government said in a statement on Monday. 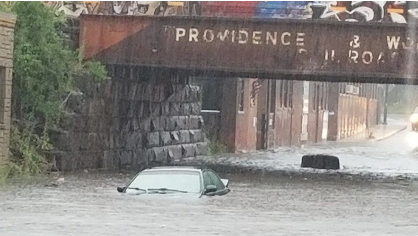 Massachusetts, USA – Thunderstorms have caused flights to be delayed and knocked out power in some parts of Massachusetts. Floods have been reported on many streets in Worcester and Oxford. Some towns, like North Grafton, received more than three inches of rain. Mongolia – Between 3 July to 5 July 2018, heavy rainfall of unprecedented intensity caused flash flooding in several parts of Mongolia affecting more than 792 households across the country. China – Update – Heavy and continuous rainfall since 7 July 2018 has caused flooding in most parts of Sichuan and the southeast region of Gansu Province. In some areas of North Central Sichuan, there have been heavy rainstorms and torrential rains for four consecutive days. These were also compounded by the effects of two weather systems in the area; Typhoon Prapiroon, and Typhoon Maria. According to reports from National Disaster Reduction Commission, as of 13 July 2018, floods have affected 1,381,000 people, where 3 persons have died; 222,000 have taken emergency resettlement; 22,000 needed emergency relief in Sichuan prefectures of Deyang, Mianyang, Guangyuan (that includes 15 cities and 70 counties); more than 900 houses have collapsed, and 29,000 houses have been damaged. A total of 36,900 hectares of crops have been affected by the floods and 5,200 hectares will have no harvests this year. Gansu province was hit even harder, according to the Ministry of Emergency Management. A heavy rainstorm occurred in Southeast Gansu from 10 to 11 July 2018. The provinces of Tianshui, Zhangye, Pingliang (including 10 cities and 46 counties) are flooded, and have affected 1,519,000 people where 12 have died; four are missing; and 30,000 were evacuated. More than 2,300 houses collapsed, and 19,000 were damaged to varying degrees. Harsh winters and dry summers are threatening the livelihoods of Mongolia’s nomadic herders. Some are banding together to safeguard their herds – and communities – from the extreme conditions. For centuries, nomadic families have driven their livestock across Mongolia’s steppe, preserving a way of life that goes back generations. But changes in this vast, desolate landscape have forced them to adapt. Winters have become harsher, and extreme weather events more frequent. Mongolia is one of the last pastoral countries left on Earth. Its economy is dependent on the production of livestock, and around 80 percent of its territory is covered in grasslands. Living at the edge of the habitable world, pastoral nomadic people are highly vulnerable to changes. In response, some herders are forming communities and pooling their resources, in hopes that this will allow their traditional nomadic lifestyles to survive. Around 28 percent of the Mongolian population lives at or below the poverty line, and many people survive on a subsistence basis. Because of this, and the fragile nature of pastures, extreme weather events are often disastrous in Mongolia. Experts are warning that pastures are at further risk due to overgrazing and climate change. A few centimeters more snow than average locks the forage under a thick frozen layer, and causes high mortality among the livestock. Due to dzud, (a summer drought followed by a severe winter, generally causing serious loss of livestock) the winter of 1999 to 2000 resulted in the country losing 30 percent of its herds nationwide. As reported by Ulambayar in the scientific journal “World Development,” 2 million head of livestock, or 20 percent of the national herd, were lost in the dzud of 2009. And dzud events are projected to increase due to climate change. Many nomads are abandoning their traditional lifestyle and migrating to the cities. The capital of Mongolia, Ulaanbaatar, is already reeling under the impacts of rapid urbanization, which include off-the-charts air pollution. 5.6 Earthquake hits the southwest Indian ridge. 5.4 Earthquake hits the Russia-Mongolia border. Two 5.2 Earthquakes hit off the east coast of North Island, New Zealand. 5.1 Earthquake hits the Sumba region, Indonesia. 5.1 Earthquake hits western Mongolia. 5.0 Earthquake hits north of Ascension Island. In an update to the measles outbreak in Mongolia, after reporting 20,010 cases during the first eight months of the year, September showed a dramatic slowdown of only 151 cases. Mongolia was declared measles-free by the World Health Organization in 2014. In fact, prior to the outbreak that began in March this year, the rash onset of the last confirmed measles case in Mongolia was in the summer of 2010. Worldwide, measles kills 400 people a day—or about 16 deaths every hour, most of whom are children under the age of five. Measles is the most highly infectious disease known, and it is easily prevented with just two doses of measles vaccine. Six buildings caught fire and 15 homes had to be evacuated as warm weather and dry conditions helped fuel wildfires in central Wisconsin. The Jordan Valley Farmers Union is arranging to file a lawsuit against Israel at the International Court for the recurring fires that erupt on the Israeli-Jordanian borderline and damage thousands of agricultural lands annually, JVFU President Adnan Khaddam said Wednesday. Farmers who own lands adjacent to the border incur each year huge losses as their trees, crops and infrastructure are burned in fires that start in Israel and spread to the Kingdom, Khaddam said. He noted that fires start during this time of year and continue recurring until the end of summer, charging that Israel “deliberately” starts the fires to get rid of the dry grass that grows on the border for security reasons. “The fires are increasing every year and there is nothing stopping Israel from starting the fires without taking precautionary measures that prevent flames from reaching the Jordanian side,” Khaddam told The Jordan Times. The first fire of the season erupted last Sunday night in Wadi Al Rayyan in the Central Jordan Valley, according to Khaddam, who said the flames raged again on Monday. Since the beginning of this year, 60 soums in 15 provinces were hit by 116 wildfires. Fifty of the fires broke out in just three provinces in the eastern region of Mongolia, including Khentii, Sukhbaatar and Dornod. The National Emergency Management Agency (NEMA) reported on Friday that the wildfires that have been causing substantial damage to both the people and the environment were finally extinguished in Dornod and Sukhbaatar provinces at the end of last week. Khentii Province’s soums remain on fire now, while rescuers are working to put out fires in Khuvsgul and Uvs provinces. 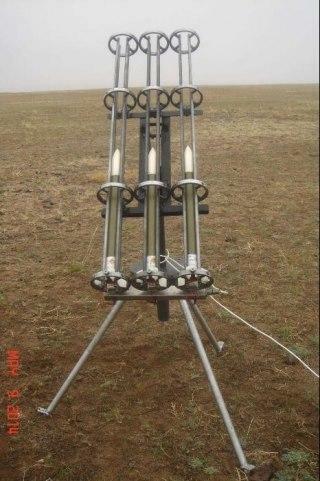 Amongst other methods, cloud seeding is used to fight wildfires in Mongolia. An elderly woman in China is the first person known to have died from a strain of bird flu called H10N8, according to a new report of the case. On 28 January 2014, the Ministry of Health of Saudi Arabia announced an additional laboratory-confirmed case of Middle East Respiratory Syndrome coronavirus (MERS-CoV) infection. 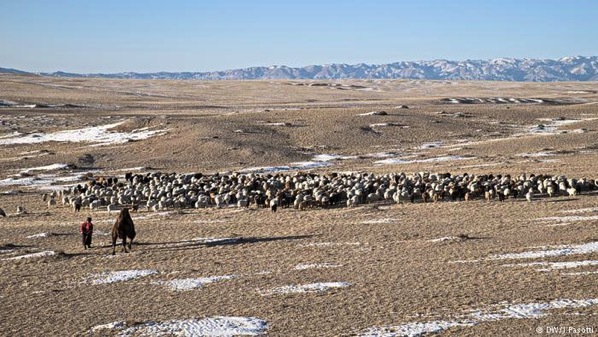 An outbreak of highly infectious foot-and-mouth disease (FMD) in Sukhbaatar province in eastern Mongolia has been confirmed by the Mongolian State Central Veterinary Laboratory, local media reported. Currently, 86 head of cattle of 15 herder families were infected with FMD and 82 of them were culled. Symptoms of FMD were observed in three sites, head of the district’s veterinary department said.